Work for CyberSource Payment Management Platform? "Cybersource makes it easy to process orders and go on with your business!" I like how easy it is to search for past transactions, and essentially use this service as an additional banking tool to manage funds. The design and layout of the website makes it very easy to use. I cannot think of anything about the program that bothers me. It never slows down, the website is always up and running. It is honestly one of the quickest parts of my banking routine for our business. Consider using Cybersource if you are exploring payment processing options. I run all my credit card payments through Cybersource. Without this tool, I would likely be paying higher processing fees elsewhere. What I like best about Cybersource Payment review is the creating, modifying rules. I also like the fact that you can mark people as suspect so you can blacklist them from placing orders. And same thing with trusted customers - their orders are successful with flowing through. I don't like that you have to have multiple logins for different countries such as USA, CANADA, UK etc. Really difficult to log in quickly when you have to switch accounts/profiles. We're able to review certain risky orders and have the choice to approve or deny... these are great benefits within the software. "Overall reliable product with solid support"
It is pretty quick and easy to get live help if you need it. Even better, it's really rare that you do need help. The service is highly reliable (as you'd expect from a payment processor). When you need to just talk to someone, they answer quickly, ensure you are authorized to call, and they are generally very knowledgeable. They are also fully able to create issues for the development team if more advanced knowledge or research is required. The only real issues we've experienced is related to system updates and upgrades. We don't always receive advanced notice. They claim to send emails to certain contacts on the account, but sometimes we don't get them. It is possible it's an issue with our exchange server, possibly blocking emails that contain info with words that are blocked, ie ACH. Consider fees for token storage and a process to clean up outdated tokens. While the fee isn't outrageous, we still have tokens for cards that have long since expired. There isn't an easy way to selectively purge these tokens. Take that into consideration and work to find a solution before you end up with years of data you don't need. We wouldn't be PCI compliant without CyberSource. They store all of our customers' credit cards, and we implemented the use of ACHs thru them in April 2016. So far, so good. "Cost effective way to manage payments"
CyberSource provides everything we need at a lower cost than our previous payment manager. I can't think of a single thing I dislike regarding CyberSource. It's super easy to use. I find CyberSource to be easy to use. I had no formal training; just worked my way around the system and was able to figure it out on my own. It's very intuitive. I'm part of a group of volunteers planning an annual payroll conference in association with the American Payroll Association. Utilizing CyberSource, we are collecting payments online from a large percentage of our conference attendees and vendors. This links to our website administration company, StarChapter. Our conference web address is www.mwpayrollconf.org. "Great payment solutions service for online and over the phone transactions"
It is very easy to implement into most existing systems. It is an all in one solution for merchant account, payments, online shopping cart, and professional support. It is well designed and allows payments to be taken online and over the phone. It is setup from the beginning to accept all major credit cards and e-checks. Cybersource provides all of the back end support needed to be successful using their system. They use many anti fraud steps to make sure that the card is owned by the correct person. If doing large volume of payments either over the phone or online, then the fees can be a little steep. There is a 0.35 cent fee for every transaction. Visa and Mastercards are subject to a 2.39% discount rate, but I think that is about average for most of the payment processing systems. If you are looking for an all in one payment processing system, then this is what you are looking for, Be aware of all of the fees and charges up front with using the service. If you do a large volume, then you may be better off looking else where. But, for small to medium businesses, you can't go wrong with what is offered. 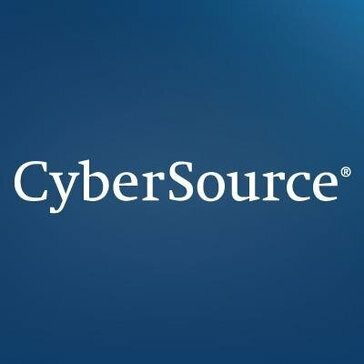 Having and eCommerce site where customers can purchase everything right from there as well as doing over the phone sales, Cybersource really gets the job done. There are not many times that I have had an issue with the system at all and when I did it could easily be solved. "Payment Management Platform - Cybersource"
Problems we're solving is better managing and detecting fraud and/or risky orders. And for the customers who have a trusted/good transaction history, we can mark them to allow their transactions to flow seamlessly". Better efficiencies all around. "So many options to choose from!" When it comes to payments I am not sure anything is better than Cybersource. They are a one stop shop for just about anything payment processing. I currently use them for credit card processing and it goes completely through our CRM. I do not much care for the interface of the Virtual Terminal. Do not get me wrong it works every time but the interface itself could use some cleaning up. Maybe as simple as asterisks to say what is needed and not needed information. We were easily able to solve our inter-continental credit card issue with the use of Cybersource. We have realized how easy this is and now sell worldwide. "Pretty solid payment system overall "
Software is, for the most part, intuitive and easy to use. Many search options for narrowing down transactions. I love having multiple ways to search through payments and transactions that users of our service may be inquiring about, so that I can locate the exact details of what happened and why a payment may have declined. I dislike that the UI is a little bit clunky and hard to look through, but that's not the end of the world. 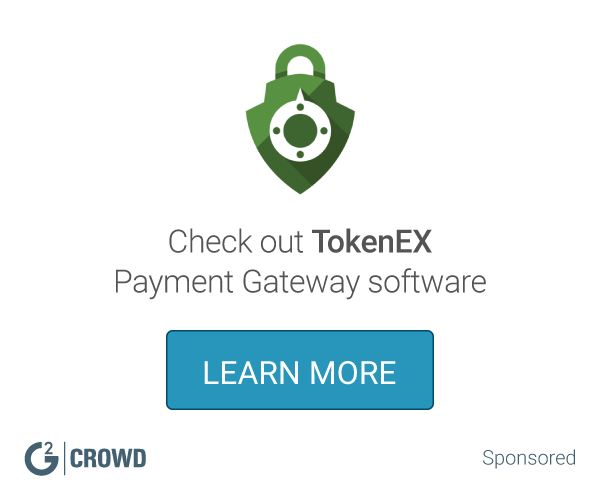 I would highly recommend this platform as an all around solution to provide your users reasons payments have declined, or to find fraudulent transactions, for example. I have been able to effectively and quickly locate fraud transactions, as well as declined transactions, to efficiently help users inquiring about payment related issues. "Secured Payment Solutions, Good Work"
1. I like CyberSource's basic API to call to make installment exchanges. 2. The additional components like Fraud Detection, Address Verification administration, Payment Tokenization, Device Fingerprint add a great deal of worth to business needs notwithstanding being to a great degree secure. 3. Their documentation is straightforward and execute. 4. Quick reaction time for bolster demands too. Nothing specifically - they have been around for some time now and are doing great yet Debugging could have been friendlier/less demanding, CyberSources HOP page customization alternatives are exceptionally constrained (not certain if CyberSource still bolster HOP page. There is a substantial set up expense so know about this when taking a gander at other installment stages. In the event that you are searching for a charge card processor that is anything but difficult to utilize, simple to learn and dependable, this is the one for you. Their client administration is amazing also. Do they answer the telephone rapidly, as well as they hit you up rapidly through email with an incredible clarification with regards to the issue, determination and anticipation for what's to come. All around an awesome affair. We required a protected, facilitated third-get-together request page to keep up PCI consistence. We likewise required a decent back-end "terminal" to cluster exchange data. Business issues being location by CyberSource are installments, AVS and expense. Having a one stop look for all the administrations is extremely advantageous and simple to coordinate instead of dealing with various merchants for various administrations. "It not as user friendly as I would like "
I dislike how sometimes the credit doesn't show when you look up the original order. When trying too run a report I wish it doesn't always time out or only let me download a daily report and not weekly. Wish it a better gateway when connecting to other software like demandware. Once we got on demandware many transaction have been more manual. "Great processor, use it all the time!" CyberSource is so easy to use, and it does what it's expected. There are rarely issues with the processing of orders or renewals of subscriptions. It's easy to find what you need to when you log in - I can easily locate a customers transaction or subscription and manage it, or I can easily issue a credit or refund. I can't emphasize the ease of use enough, it's great! They are not considered a "Merchant of Record", so for some that may be a negative. They also don't handle international currencies or taxes. If you are looking for a credit card processor that is easy to use, easy to learn and reliable, this is the one for you. Their customer service is awesome as well. Not only do they answer the phone quickly, but they get back to you very quickly via email with a great explanation as to the issue, resolution and prevention for the future. All around a great experience. We are simply trying to allow our customers to purchase our products easily. We use CyberSource to assist customer over the phone with orders if need be, and they also do subscription management for us, which is fantastic. We have a monthly and yearly subscription product set up with them, and it's very seamless. "In the era of globalization should have products like this"
We've never had an outage or problem. It just works. Setup was easy as was the initial testing. The reporting features aren't as good as some other processors I've used. They have improved the reporting feature just within the past month and they are better but they still have a ways to go. Good for businesses of all sizes. Was easy to implement in our case. Needed a processor that worked well with NetSuite. CyberSource has met all our goals without any problems. "Reliable payment solution from a developer's POV"
We used the Hosted Order Page (and its successor) and found it easy to implement. The documentation and SDK were very useful. We found it flexible for a variety of applications. I thought their support team, both on the implementation side and for day-to-day operations, were very good. Debugging could have been friendlier/easier. We needed a secure, hosted third-party order page to maintain PCI compliance. We also needed a good back-end "terminal" to batch transaction information. Cybersource worked well in both areas. "CyberSource is a Great Payment Solution for eCommerce Sites"
1. I like CyberSource's simple API to call to make payment transactions. 2. The added features like Fraud Detection, Address Verification service, Payment Tokenization, Device Fingerprint add a lot of value to business needs in addition to being extremely secure. 3. Their documentation is easy to understand and implement. 4. Very quick response time for support requests as well. Nothing in particular - they have been around for a while now and are masters of their trade! Business problems being address by CyberSource are payments, AVS and tax. Having a one stop shop for all the services is very convenient and easy to integrate rather than having to deal with multiple vendors for different services. "Review from Suresh Buddana "
When we use Silent order post we need to worry about PCI compliance. CyberSources HOP page customization options are very limited (not sure if CyberSource still support HOP page. even though we did not implement this feature due to funding issues, Prodfile sharing and Silent post are the features i linked most (in addition to securty features). with profile sharging we can charge credit card across mutiple channels (Telesales/Online/3rd Party) based on CyberSource token. "CyberSource Has A Lot of Room for Growth"
2) Wide Range of Functionality - Has a lot of available features that provide a wide span of uses. Allows more customization than other payment platforms. 2) Long contract that is hard to get out of. It is best to make sure that you fully want to commit to the product before purchasing. 3) Large start up fee and price -The product is very expensive but does an amazing job. There is a large set up fee so be aware of this when looking at other payment platforms. The cost is justifiable but make sure it is something your company can afford. One of the top payment platforms. Allowed feeling of security with transactions. "CyberSource - Better after Secure Acceptance update"
Using Cybersource is simple to use. They used to provide us with a HOP file that we would simply use to POST our information to. Recently, they released a new "Secure Acceptance" release. This made thins more secure, but was a little difficult to migrate. If not migrating, it would be simple to implement. We started implementing Secure Acceptance right when they told us about it. We got finished only to find out they had changed the documentation. It's all good now, but I would have preferred they get everything in order first, then tell us to implement it. Cybersource is a great way to go if you need a simple, quick, and robust CC solution. We needed a way to accept credit card payments without having to worry so much about all the PCI rules. "I used it while I was working for a top e-com company as a chargeback/risk analyst"
The administration tool for the accounts management is not the best, nor very easy to use. Thel ayout once logged into the interface is not the brightest, still looks very "technical", for the tech guys. Top payment gateway from a technical perspective, associated with cutting-edge anti-fraud tools that are tailor made to the needs of the business. As a programmer, I'm most interested in ease of implementation. Cybersource's sample code got me off to a quick start. Also, the structure of the objects one needs to pass and receive are pretty straightforward. Generally speaking, I disdain the SOAP protocol. Cybersource's API is SOAP based. Other than that, it's fine. Check with your bank's merchant account provider. Cybersource may not even be an option for you. Creating custom shopping carts for websites with non-widget products. I like the ease of navigating through CyberSource. It is very well laid out and the interface is visually appealing. There isn’t anything that I dislike about CyberSource. We use CyberSource for each of our eCommerce sites (15+ at any given time). CyberSource is very reliable in tracking those purchases and helping to locate transactions as requested. "Great payment processor with nice development support"
The fact I love about Cybersource is their various API support. They have great development resources and forums for developers. Apart from that they have great admin application to monitor transactions and manage profile. Practically nothing too much to dislike but I would love to see support for declined transaction redirection to user specified URL in case of silent order post API. Great credit card payment processing solution that provides good developer resources and tools for administrators. I worked on payment processing for uni bookstore website and in my experience Cybersource provide excellent developer resources and admin console for business users. "Great internet gateway for companies with resources to code against"
I'm pretty happy in general. I guess more coverage would be nice. "Reliable payment source that works well with IBM Websphere commerce"
I recommend that you use the support and training provided. We are able to securely make payments on our site. We are PCI compliant. Learning about CyberSource Payment Management Platform? * We monitor all CyberSource Payment Management Platform reviews to prevent fraudulent reviews and keep review quality high. We do not post reviews by company employees or direct competitors. Validated reviews require the user to submit a screenshot of the product containing their user ID, in order to verify a user is an actual user of the product. Hi there! Are you looking to implement a solution like CyberSource?